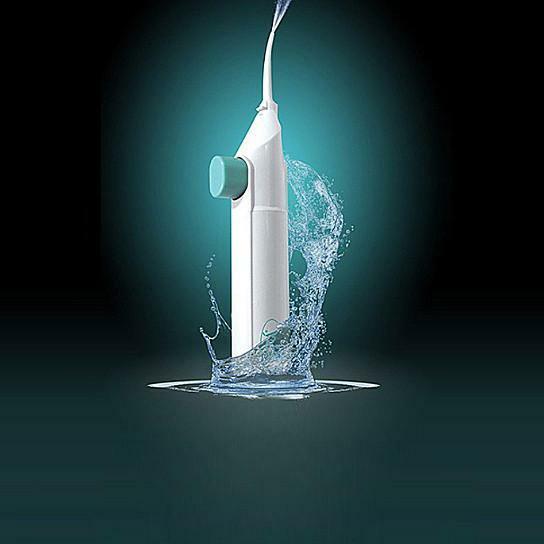 Step up your oral hygiene with a powerful, compact water pick! 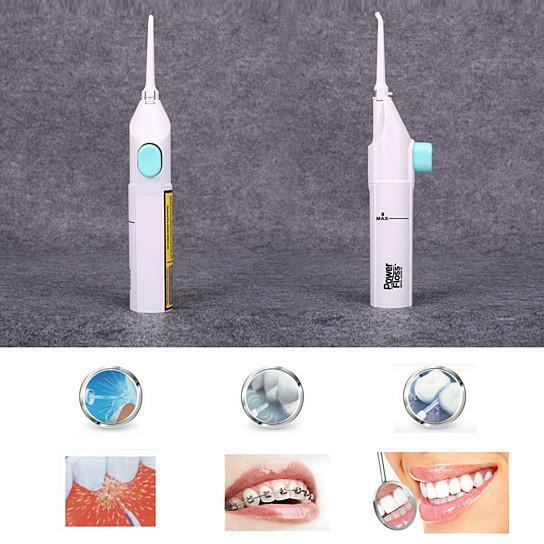 Producing a stream of water at up to 80 PSI, this water pick helps remove food particles from between teeth, eliminates plaque below the gum line and stimulates live tissue to promote healthy gum growth. This water pick is also perfect for use around braces, bridges and crowns which can often prove troublesome. Three floss modes (Normal, soft and pulse) allow you to set the ideal pressure depending on your own gum sensitivity for a comfortable clean. The water pick is rechargeable and features a removable water tank to simplify filling and maintenance. Feature: 1:Quick & Convenient Flossing 2:Compact, Portable & Ergonomic Handheld Design 3:Easy, single-push button controls 4:360° rotating jet nozzle attachment Don't be afraid of your next trip to the dentist. Practicing good oral hygeine at home has never been easier, thanks to the Power Floss. Flossing is one of the most important elements in taking care of your teeth, but so many people hate the painful task. With the Power Floss, you can gently remove plaque causing debris and clean those hard-to-reach surfaces, all with this pain-free device. As seen on TV, the Power Floss uses air and water to delicately remove what brushing missed. Just fill with water, point, and press to power. The air infusion technology gently blasts away unwanted particles and flushes out crevices for healthy teeth that are sure to please your dentist. You can also fill the Power Floss with mouthwash to freshen as you floss. The ergonomic design and low profile tip helps reach the back teeth and is perfect for keeping braces, bridgework or other dental work clean. Never again worry about getting floss stuck between teeth or dealing with the pain of flossing. Get fast, easy and pain-free results with Power Floss. No batteries or cords Power Floss is powered by air Ideal for braces, crowns, sensitive gums and other dental work DETAILS: Power Floss water pick for strong teeth and beautiful smile. Made of ABS material BPA Free. It measures 47 * 32 * 213 mm in size.